University of Westminster Press, 9781912656165, 314pp. 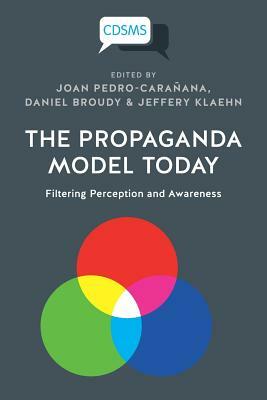 While the individual elements of the propaganda system (or filters) identified by the Propaganda Model (PM) - ownership, advertising, sources, flak and anti-communism - have previously been the focus of much scholarly attention, their systematisation in a model, empirical corroboration and historicisation have made the PM a useful tool for media analysis across cultural and geographical boundaries. Despite the wealth of scholarly research Herman and Chomsky's work has set into motion over the past decades, the PM has been subjected to marginalisation, poorly informed critiques and misrepresentations. Interestingly, while the PM enables researchers to form discerning predictions as regards corporate media performance, Herman and Chomsky had further predicted that the PM itself would meet with such marginalisation and contempt. In current theoretical and empirical studies of mass media performance, uses of the PM continue, nonetheless, to yield important insights into the workings of political and economic power in society, due in large measure to the model's considerable explanatory power.